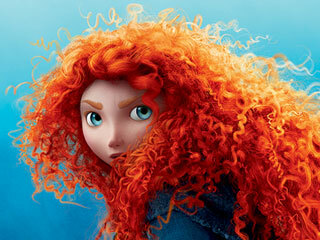 Peter Debruge of Variety gave this positive review of the film: "[Brave] offers a tougher, more self-reliant heroine for an era in which princes aren't so charming, set in a sumptuously detailed Scottish environment where her spirit blazes bright as her fiery red hair...[And]adding a female director [Brenda Chapman] to its creative boys' club, the studio [Pixar] has fashioned a resonant tribute to mother-daughter relationships that packs a level of poignancy on par with such beloved male-bonding classics as Finding Nemo." Right now I'm writing my own medieval story set in Scotland. 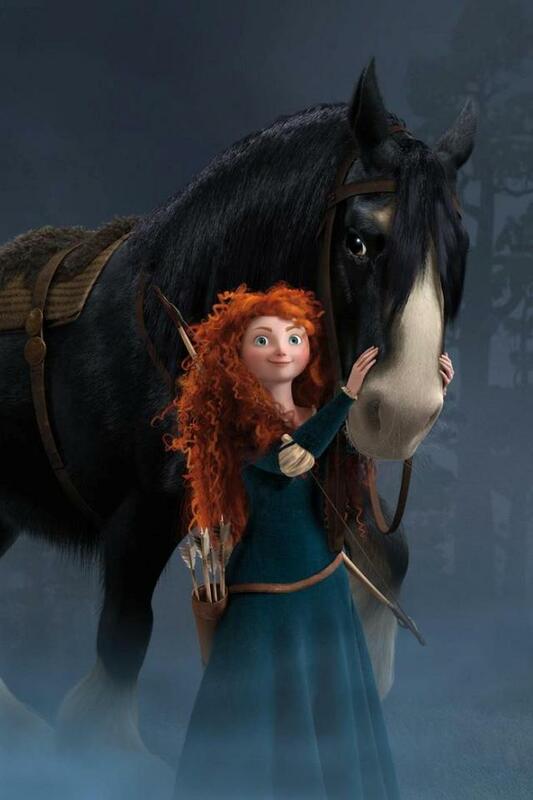 It also has bows and Clydesdales and castles, so I was interested to see Pixar's latest work. Absolutely loved it on so many levels. 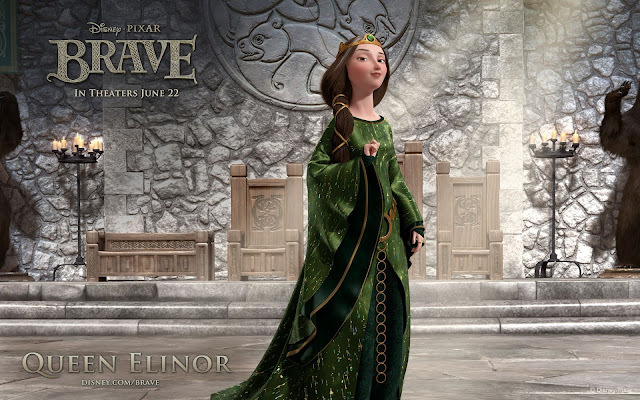 Their technical mastery of the animation, their brilliant (and insightful) characterisation, their use of myth, and Pixar's usual whimsical approach - solid story infused with humor. And very touching. Jun 22 2012, 7:36 AM ET 18 Pixar's latest is good by any standard but its own. Personally, the whole thing about being 'disappointed' by some of the year's best films is your own business. Learn to manage your own expectations, learn to not read everything you can about something before your you experience it - leave a little room for susprise. The disappointed are like people who don't get Facebook. They count themselves in a minority, but they still make a noise about it. Don't listen to them. The secret to enjoying movies is to watch the previer or trailer, and then steer clear of reviews as best you can. Go in with an open mind. There's virtually not a single reviewer out there that doesn't gleefully give away the plot (as though they came up with it themselves). A sure way to make a film predictable is to tell the audience what is going to happen beforehand, even giving apparently small plot points way. Most reviewers make a point of showing us how smart they are by deciding whether a movie was worth their time by whether anything in it surprised them. And then of course they go on to tell you what happens in the film. Do yourself a favour - stick to watch the online trailers, and read the reviews after you watch the film. Or better yet, write your own, and participate in the after-watching chatter, it's far more fun than the before-watching criticism which is designed to spoil your experience. Quick - what do all these women have in common? Celtic Music Compilation - Beautiful! Ferrell on Stewart: "Kristen is a Trampire"